We provide simple, elegant investment management strategies that are carefully curated to differentiate your business and your clients’ experiences. The average investor has typically been able to achieve broad diversification primarily through the use of pooled investment vehicles, such as mutual funds and ETFs, while the high net worth investor has had a different, more exclusive set of options. That changes with EQIS. Our strength is to provide investors, large and small, access to the same high-caliber institutional money manager sub-advisers, both strategic and tactical, that have formerly been reserved for only the wealthiest individuals. With institutional account minimums generally starting at $500,000 or more, smaller investors have been barred from entry to this investment management style. EQIS makes it possible for investors with $25,000 to access the same sophisticated investment strategies as high net worth investors. We vet and partner with boutique and specialty institutional sub-advisers. We’re able to provide our clients access to these sub-advisers at lower minimums through the use of fractional shares. We, or the adviser, then mix and match these managers’ models across a spectrum of portfolios designed around different strategies and risk profiles, creating the EQIS unified managed account. This advantage is unique, scalable across your entire book of clients, and can help differentiate you in the marketplace. 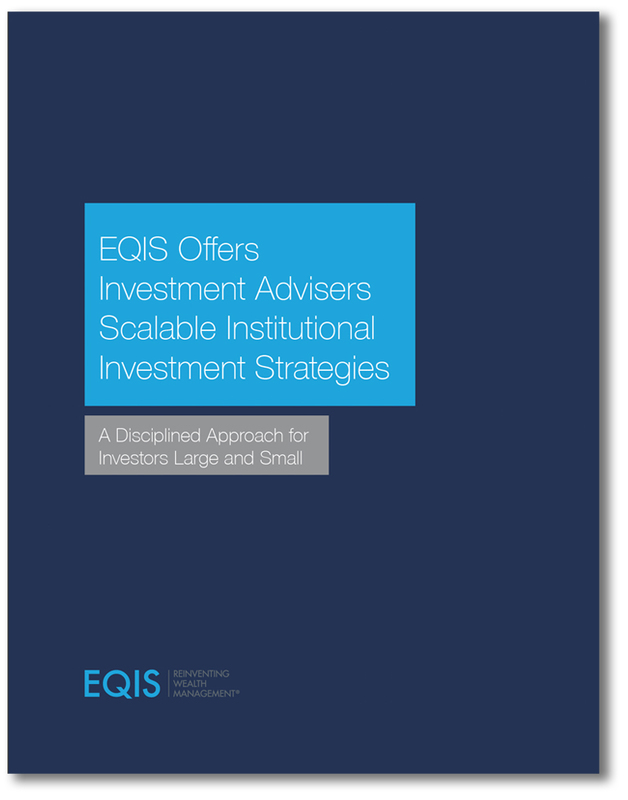 EQIS understands your role both as an investment adviser and a business owner. The ability to outsource certain tasks like back-office operations, portfolio construction, and management which lets you devote more of your time to the activities you value most. We know not all advisers and clients are alike. One size does not fit all. You have the option of using our curated, goals-based models that are designed and maintained by EQIS. If you prefer not to fit your client to a finite set of portfolios, you can build one that addresses their unique directives and goals. Either way, your client gets access to institutional money managers.